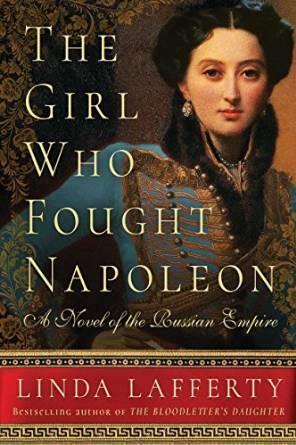 In a sweeping story straight out of Russian history, Tsar Alexander I and a courageous girl named Nadezhda Durova join forces against Napoleon. In a captivating tale that brings Durova’s memoirs to life, from bloody battlefields to glittering palaces, two rebels dare to break free of their expected roles and discover themselves in the process. A fascinating tale, but a bit of a misleading title. Why Nadezhda does fight Napoleon eventually, I felt like the story was about a whole lot more than just that. It follows an unusual life of a little girl that never really felt like she fit in. A tale that people can relate to emotionally even today. Nadya wasn't a strong character in the way I thought she would be. She wasn't a war hero, she didn't kill hundreds of enemies or save hundreds of lives. But she did manage to rally people around her name, meet the czar, and become a special part of Russian history. She survived a war that many did not, and she managed to do it gracefully and with humility. While told primarily from Nadya's point of view, we also get to see into the mind and life of Tsar Alexander. He was another interesting character and quite a revolutionary at heart. It's too bad he wasn't able to follow through with all his ideas and passions. There's a bit of a mystery surrounding the Tsar and his wife that I hadn't heard before, and the story wrapped up with quite a content reader. Evie Scarlett wanted two things: marry Parker Drake and her family of wizards behind. But when Hugh Prince, a dangerous crime boss, is mysteriously murdered while awaiting trial for her father's murder, all eyes turn to the Scarlett family. 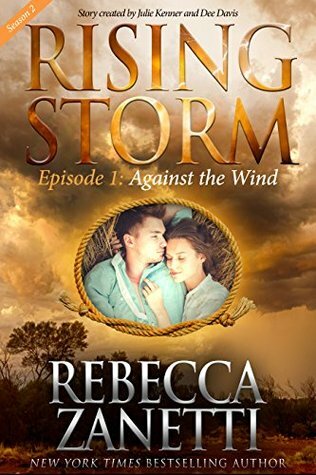 The arrival of Hugh's youngest son, Avalon returns from Scotland to bring a century-old feud to a dangerous climax. This vengeful wizard gives Evie's older brother a choice: die or give Evie to him. When Evie's plans for escape are broken by familial duty, she must find a way to protect those she loves and win back her freedom. What she finds is an ancient power that she never knew she had. Evie knew that evil was coming to Woodland Creek. She just never expected to be so attracted to him. This was a hard book to rate. We start out with the story of Olivia and Wes, and their mission to take out a rival wizard mafia lord. And it was really exciting and I thought we were really going to get to know this unusual couple. I wanted to see how they met, how they fell in love, and how the rivalry began. But we don't. We skip right over their story and right into the story of Evie. This transition was a little confusing. We don't see how the first scene ties into her story right away and it seemed like it was all out of place. I was also unsure as to why Evie was so protected by her mother. While this was explained eventually, knowing this ahead of time, even if it was just 'reader knowledge,' would have added a nice element to how the story built. The big reveal also seemed a little forced and out of place in the rest of the plot. It meandered along, introducing us to a few of Evie's friends, and her too good to be true boyfriend. While I enjoyed the story a lot, I think it would have been better served as two books. One with the history of Wes and Olivia leading up to the mission that starts this book, and one that was dedicated to Evie's story. I loved the dark feel to this. K.N. Lee did a great job building atmosphere and characters, I'm curious what else will be coming out of Woodland Creek. Season two starts off with a bang, and the drama just keeps on coming. We see a lot more from Tate as he tries to find his place in the political arena. But his ongoing feud with his brother and his betrayal sends waves through his campaign that he may find hard to overcome. There's just lots of cheating lately - some done on the sly, some done because they went about things in the wrong order. I'm really starting to dislike Travis and Bryce - I really need to seem something redeeming about them soon, or they will have just gone too long without some good action. Dakota is still at the heart of the recent scandal, and she can't seem to let it go. Somewhere in there, there has to be a sane and rational person. I hope we see a glimpse of it soon, because it looks like her world is about to be rocked yet again.